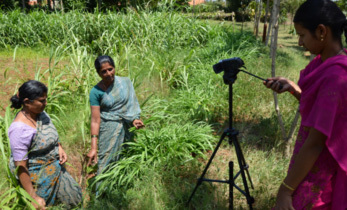 ICRISAT has taken a bold new step in presenting its yearly achievements in a dashboard-style Annual Report – with a summary version and a deep dive through an interactive online version. The ICRISAT 2016 Annual Report highlights the work done by ICRISAT scientists in the area of pulses over the last 45 years in Asia and Africa. 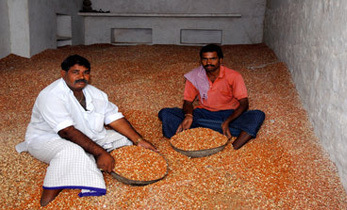 It also describes why pulses are considered Smart Food: how they are good for the consumer, the planet and the farmer. The year 2016 was celebrated as the International Year of Pulses, as declared by the United Nations. 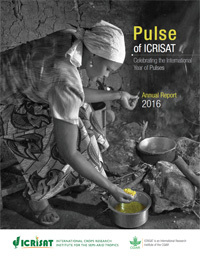 Using this as a pivot, the annual report’s ‘Pulse of ICRISAT’ section turns the spotlight on the major achievements in pulses research by ICRISAT: from germplasms collected to improved varieties (drought-resistant, high-yield, machine-harvestable) released worldwide. 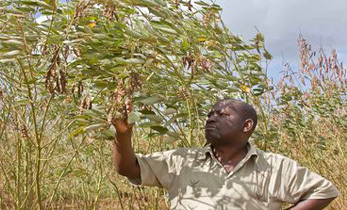 It underscores the many ‘firsts’ that ICRISAT has to its credit: world’s first pigeonpea hybrid; world’s shortest-duration chickpea; pigeonpea and chickpea draft genome sequences; first-ever machine-harvestable chickpea; and so on. Another highlight of the year 2016 was the introduction of the UN Sustainable Development Goals. Over the course of the year (2016), ICRISAT’s work in its mission areas of a) Overcoming poverty and hunger; b) Reducing malnutrition; and c) Preventing environmental degradation has contributed significantly to achieving these goals. 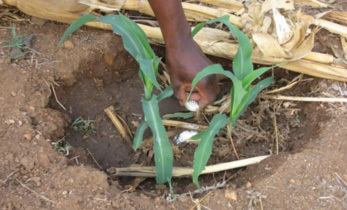 This was by developing climate-smart and biofortified hybrids/varieties of ICRISAT mandate crops, and devising sustainable methods of water management and land rehabilitation. Other successful endeavors mentioned in the report include the advances made by ICRISAT in the crosscutting areas of women’s empowerment and digital agriculture. Various digital tools – from satellite imaging to SMS-based weather forecasts – have positively affected the agricultural returns and overall prosperity of smallholder farmers in Asia and Africa. 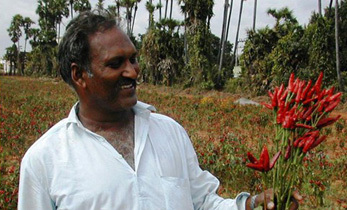 ICRISAT’s support of agricultural entrepreneurs via agribusiness incubators and farmer producer organizations is also reaping rich dividends by making agriculture profitable and thus attractive to the younger generation. 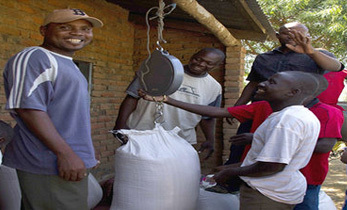 In short, the 2016 Annual Report presents a sharp and clear connection between the core science carried out by scientists and the direct and indirect bearing it has in improving the lives of millions of rural poor in the semi-arid regions of the globe.